Barangay Talisay is a small barangay located at the northeastern coast of the town. It is four kilometers from Poblacion and majority of the residents are engaged in fishing while mat weaving follows. Long time ago, there stood a giant tree near the shore. This tree was used as a rendezvous to all fishermen before going home. This tree was called “TALISAY” and until now, it can be seen a lot of these trees in the area. This tree bears heart-shape fruits which children enjoy eating the luscious fruit contents. That huge tree can no longer be seen, however several species of the same kind sprouted in this barangay that reminds us on how Barangay Talisay got its name. 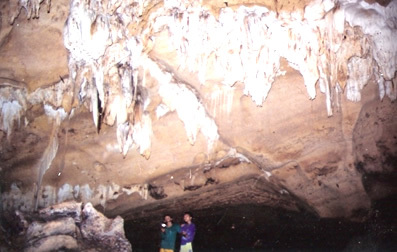 THE ENCHANTING BALUARTE AND ITS CAVES – Reputed as one of the most enchanting places in town, Balwarte remains a fascinating attraction to tourists who wish to experience more than the usual nature trail. BARING BEACH – Located at Agso, Talisay. This features white sand and pristine crystal clear water. LIGHTHOUSE – Agso, Talisay. From a distance, a cottonbud-shaped structure beckons. 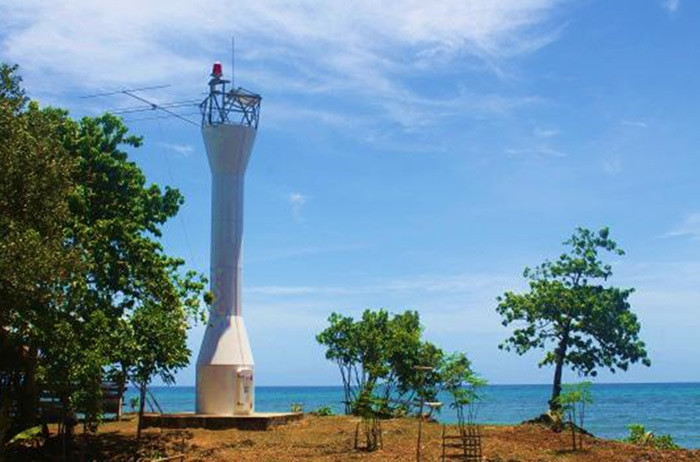 This lighthouse in Anda tells you that you are a few meters close to Agso, Talisay and there, a new journey begins. 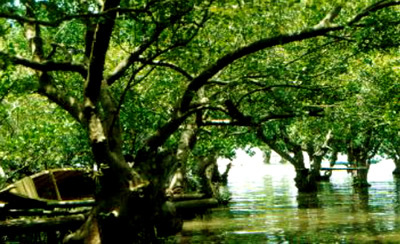 MANGROVE PARK – Green and lushy mangroves are found in this barangay. Several cottages also constructed in the trunk of these mangroves which is used for picnics and family swimming outings. MAT WEAVING – Known for making finest Mats. This barangay also known as Anda’s “Mat Weaving Country” because most of the women know how to weave beautiful mats. TAFIAS PRODUCTS – Known for manufacturing various snacks and sweets products from tilapia and paw. Talisay Fishermen Association is now growing and starting to mass produce these products throughout the province. SAN ROQUE FIESTA CELEBRATION – Celebrated every August 15-16, is Talisay’s grandest fiesta celebration in honor of their patron saint San Roque. It is filled with a potpourri of fun and excitement. Pinoy games, grand discos, grand coronation night and other nightly shows take place.